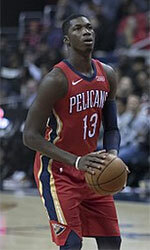 Feurs Enfants du Forez (NM1) signed 31-year old Mali international shooting guard Mahamadou Drame (188-86). 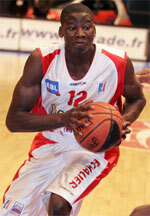 The last time (16) he played at Lourdes in French NM1 league. Drame missed last season and had one year break from professional basketball. Drame's team made it to the ProB Semifinals in 2010. He also represented Mali at the Afrobasket Championships last year. His stats at that event were 3 games: 11.7ppg, 4.3rpg, 2.0apg, 1.0spg, FGP: 50.0%, FT: 52.9%. Drame has played previously professionally also in Switzerland (Lausanne) and France (Levallois, Nantes, Aix Maurienne, Saint Vallier and Stade Clermont).